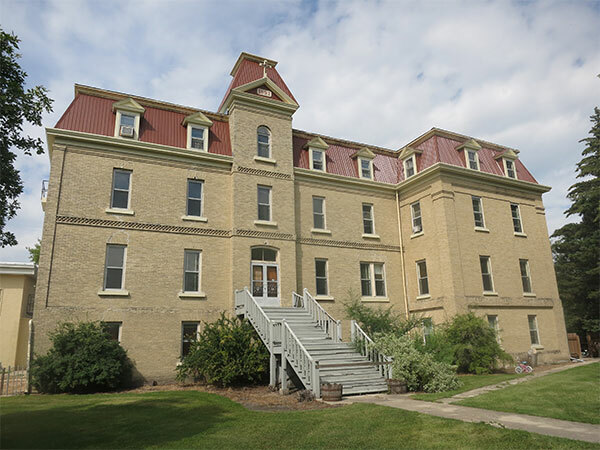 This building, the oldest rural convent in Manitoba, is a provincially designated historic site in St. Jean Baptiste in the Rural Municipality of Montcalm. It was built between 1897 and 1898 on a design by architect J. A. Senecal. A north wing was added in 1910 by the partnership of Senecal and J. A. Hudon. It served as a convent, girls’ school, and boarding facility until closing in 1992. Sold to private ownership in 1994, various plans called for it to become an antique and gift shop, museum, or tearoom. Source: Archives of Manitoba, Architectural Survey of Rural Manitoba, St. Jean Baptiste. 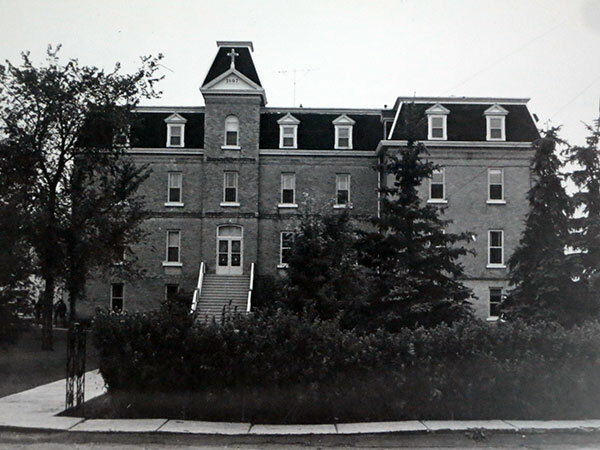 Convent of the Sisters of The Holy Names of Jesus and Mary, 144 Caron Street, St. Jean Baptiste, Manitoba Historic Resources Branch.